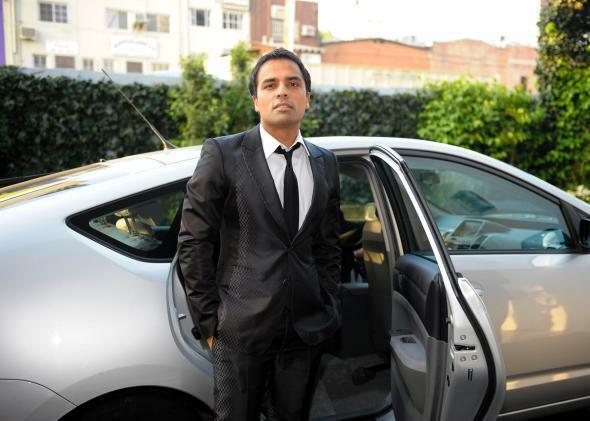 RadiumOne former CEO Gurbaksh Chahal will profit from the company's IPO if he still owns a stake. When ad-tech firm RadiumOne fired its CEO and founder, Gurbaksh Chahal, on Sunday it was cathartic for the industry. People and companies had been clamoring for his removal for months as outrage over an alleged attack on his girlfriend grew. The whole situation, not to mention the two misdemeanor battery charges to which Chahal pled guilty, were threatening RadiumOne’s reputation—and bottom line—as the company’s IPO loomed. There was a rush of relief when the company finally announced that it was firing Chahal. Sure, RadiumOne’s board could have acted more quickly to show its moral compass without the motivation of a public outcry, but at least Chahal was finally out. One problem with that narrative: Chahal is probably going to make a ton of money when RadiumOne goes public, especially because he got fired. That’s because Chahal was the seed investor for RadiumOne (formerly gWallet) in 2009, providing startup funding of $2 million. And he still has a seat on the board (according to an internal memo published by Re/Code) even without his title as CEO, because he is a major stakeholder in the company. Though RadiumOne is now on the defensive, and new CEO William Lonergan isn’t saying anything definitive about an IPO right now, it seems likely that plans for a public offering will move forward at some point. And when they do, Chahal will benefit. And the better RadiumOne’s reputation and standing at that point, the more he’ll profit. It’s a complicated situation, because the other employees at RadiumOne (presumably/hopefully) don’t abuse their significant others, so they should be allowed to move on from their former leader’s personal mistakes. But unless RadiumOne finds someone to buy Chahal out, or forces him to divest from the company, a successful IPO for RadiumOne will only mean more money in Chahal’s pocket.